Know your car’s capabilities – Be aware of your car’s capabilities before heading out on a snowy or icy drive. If your car isn’t well-suited for this type of weather, it’s best to stay at home. In most cases, a four-wheel-drive or all-wheel-drive vehicle will perform better in winter weather. 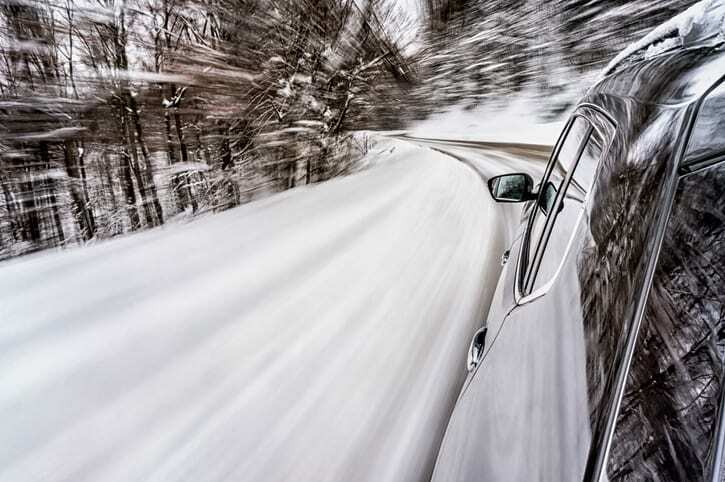 Inspect your car – It’s important to check up on your car’s current condition before hitting wintry roads. Take a look at your tires’ tread, fix any auto damage, and study up on your car’s stability features. Prepare before you leave – Next, make sure to pack your car with emergency supplies, like blankets and a first-aid kit. You never know what could happen when you venture out in the snow and ice. Keep your distance – Try to keep a good distance between yourself and any cars in front of you. Should something happen to the front car, you will have enough time to safely stop. Start off slowly – Finally, don’t spin your tires as you leave from a stop. This will cause your car to lose traction and can make you spin out of control. Should you need auto body repair during the winter or any time, call Carolina Collision & Frame Service for help. Carolina Collision & Frame Service provides auto body repair, collision repair, frame service, towing service, and paintless dent removal. Contact us for a free estimate from our Rock Hill, SC auto body shop.